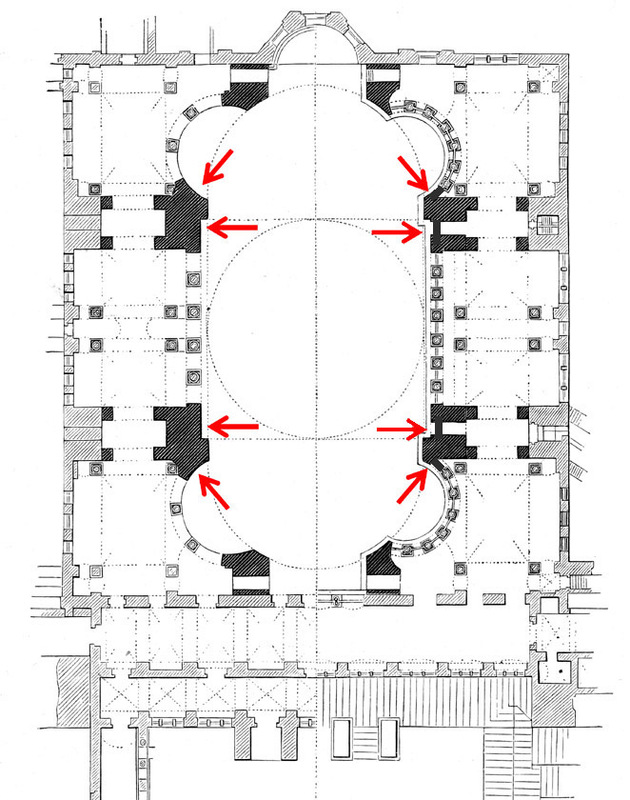 As you can see in the architectural plan above, there are massive piers along the central aisle. Between these essential structural elements are arch and column lined balconies. From the ground you can see through these arches to the bright yellow, blue and crimson painted gallery. 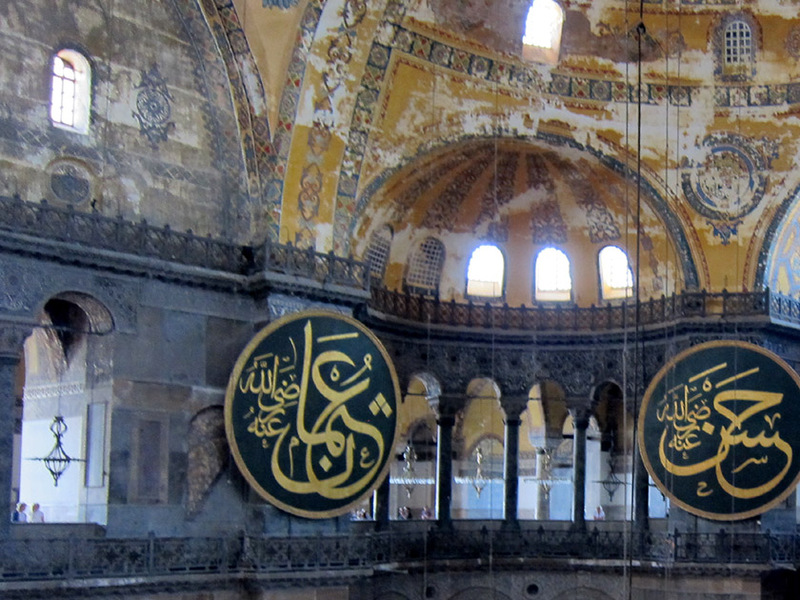 This current decorative scheme is contemporary to the 19th century restoration (see this image) but may have been based on designs developed during the conversion of the Hagia Sophia to a mosque in the 15th century. Presumably to give the space a more open appearance, panels imitating a ground floor view of the gallery were painted on the piers within the rhythm of the colonnade. The red arrows on the plan mark the locations of the trompe l’oeil paintings. The illusions are pretty obvious from the second story. 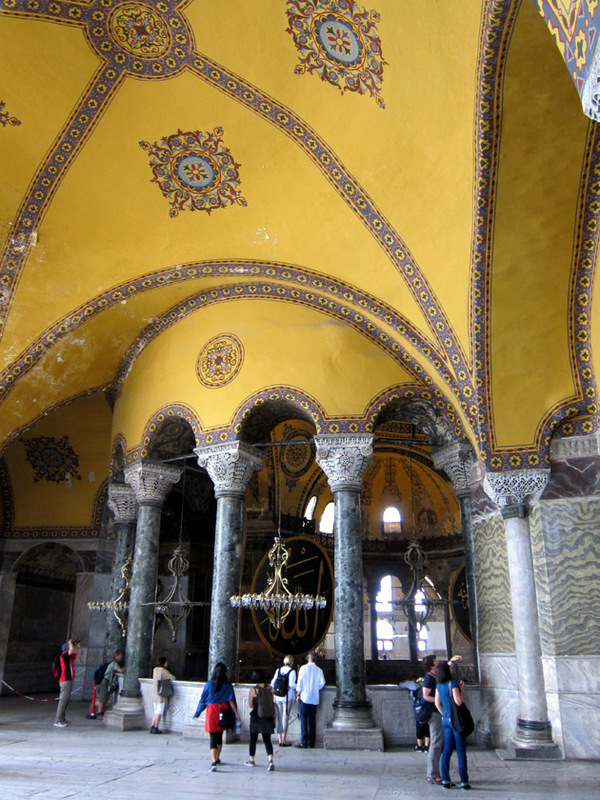 But as overwhelmed viewers try to take in the entirety of the Byzantine basilica from the ground floor, the illusions are actually fairly effective. 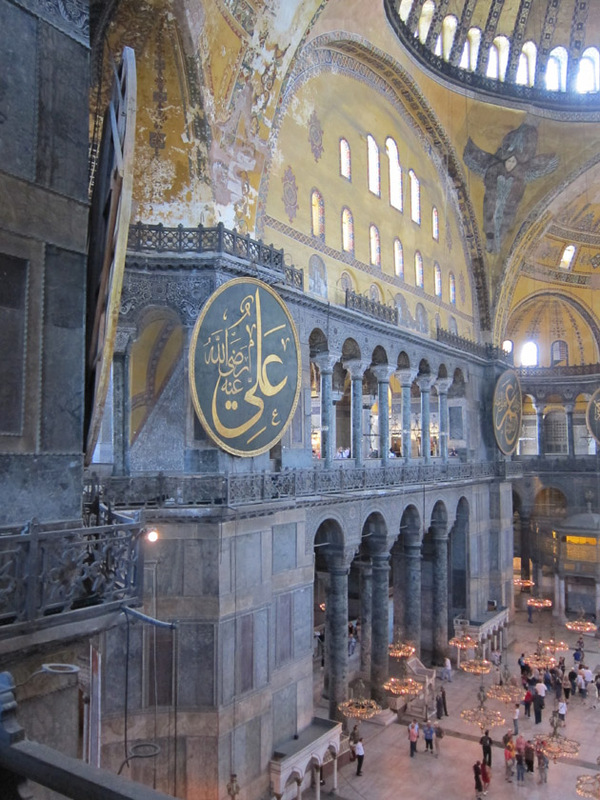 If anything, this is a good lesson in taking your time when viewing a work of art or building. You’ll get a richer understanding of the object or place and may sometimes find a few hidden secrets! Wow! I had no idea! Thanks for such a great post — will for sure look for them next time! Thanks! 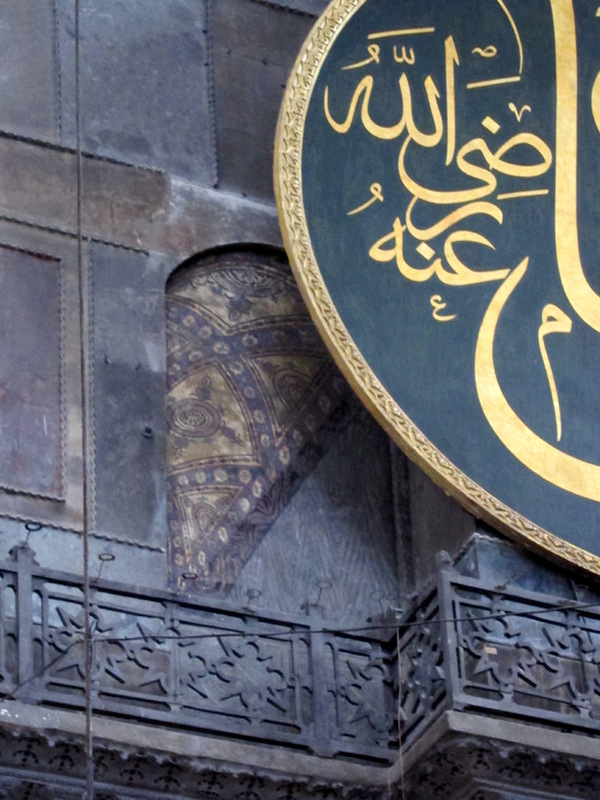 Enjoy your next trip to Turkey! Great piece, and very interesting about the trompe l’oeil, I had no idea. 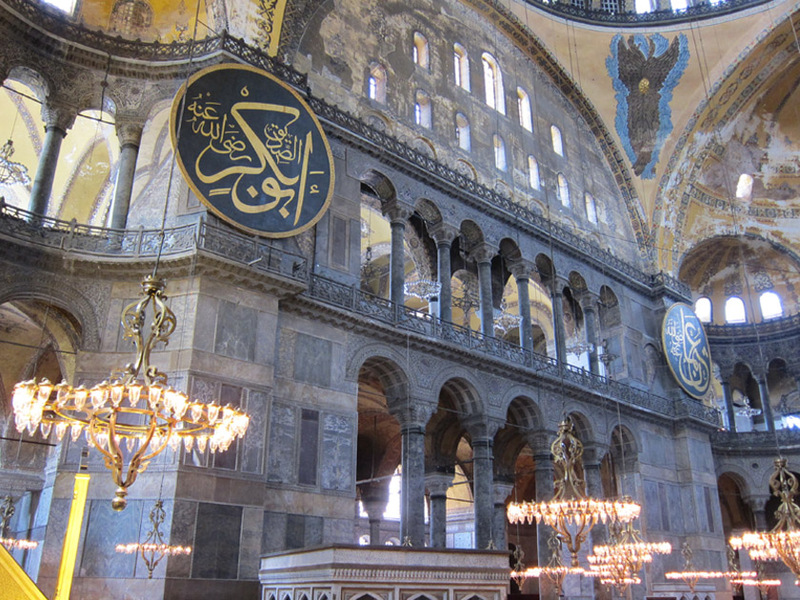 I was lucky enough to go to Istambul, but when I was about 17/18, which unfortunately is now quite a long time ago! But I do remember what an incredible, spectacular city it is, stuffed with history & amazing things. Dying to get back, ever-increasingly so, these last few years. And, having read that, now more than ever.